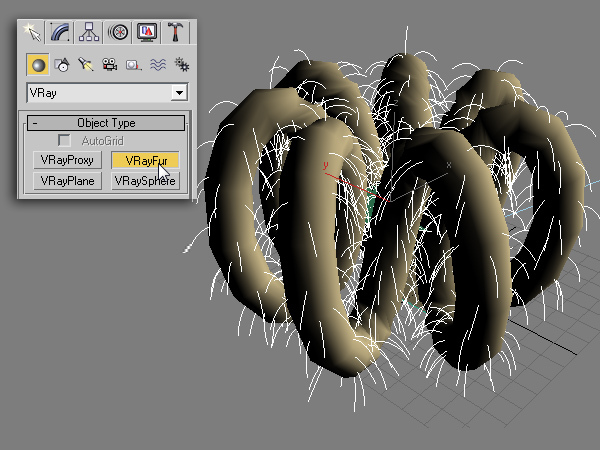 Monsters Inc. with V-Ray Fur! 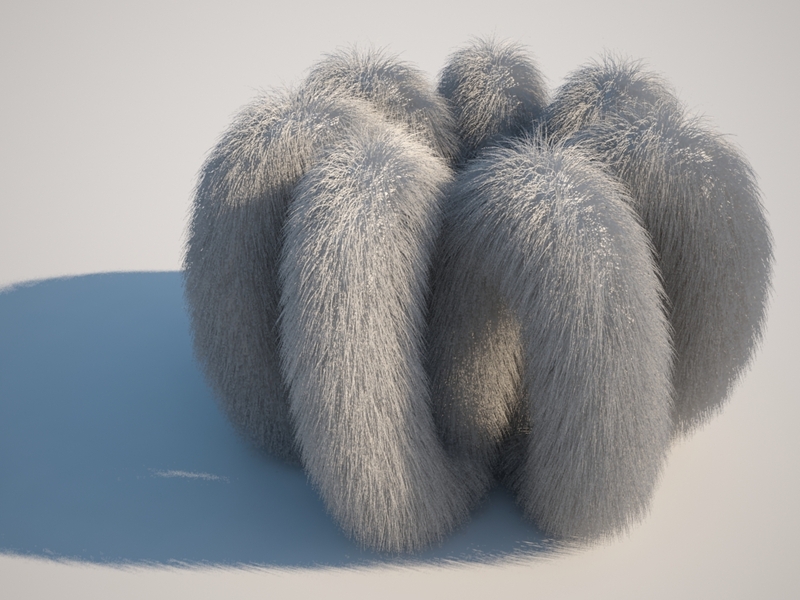 I’m going to talk about VRay Fur and the new VRay Hair Material. 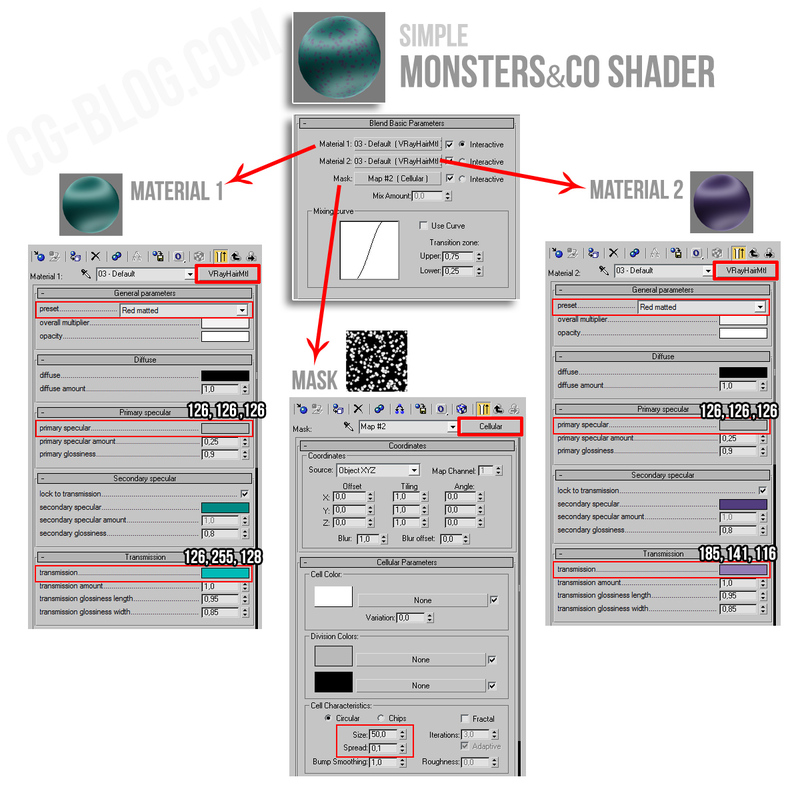 Although it may seem complex and only for super-nerd-experts… this result is really simple to achieve and you can create a lot of nice objects with Monsters&Co look after this little tutorial! Your friends and your colleagues will admire you I’m sure! Ok, enought taking.. Lets’ start. 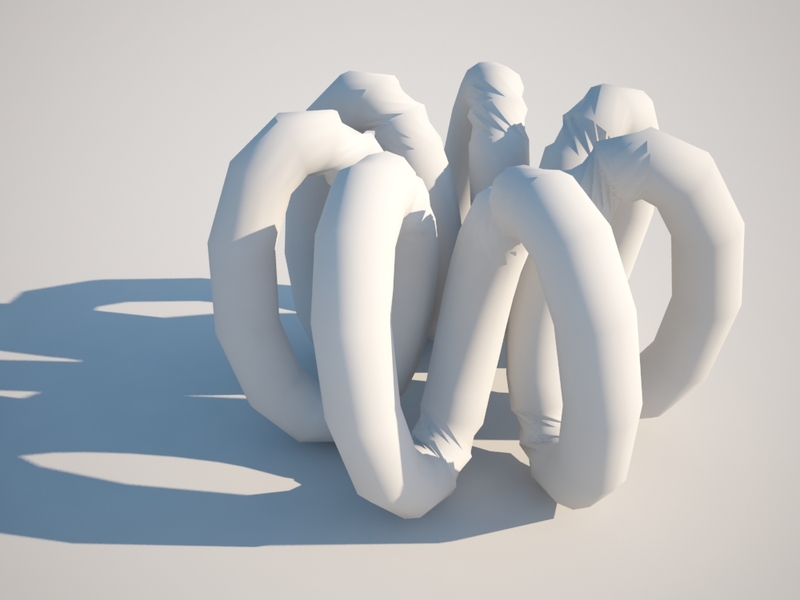 At first Select the TorusKnot object, then go to > Create > VRay > click on VRayFur. I just mixed two VRayHairMtl using a standard BLEND material. The map I used to mix them into 1 material is “Cellular“. Click on the image below to have a clear idea of this simple structure… easier to see than explain, as usual! Set you materials following the red boxes, add this shader to the VRayFur object and click render!!! Create your objects with “Monsters&co look” and share them your renders on Facebook, twitter, Pininterest and PLEASE also share this post: invite your friend to come here! SUBSCRIBE AND ACCESS 10 Interactive Courses for 1 year! In my VRay list of material I not find the VRayHairMtl material you name, why can it be? Hi Carlos.. you need the last version! The Last version of VRay plugin? if i use mix or v-ray blend mat instead of stander blend .. will be the same or the result will be different ? 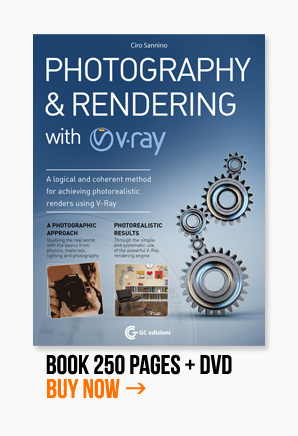 “VRay Blend Mat” and “Blend material” are totally different. In this case we need to blend with a MASK. and with mix also different ? I Hope that you will be successfully in work. How can use mask for concrete wall? hi! It’s had a dynamic vrayfur? Nice & Use full one……Thank u………. When put to render, 3ds max closes automatically. how we can apply a color of white hairs. (as head of white hair) ? the first parameter of VRayHairMtl is the color: just choose “white”, shiny or matte. Wish I had time to learn how to do this. it’s always very grey whin i save…What could be the problem of this? This was indeed the problem!! © 2012 Cg Blog is a trading name of nothing - All rights reserved.